Hot hatches such as the Honda Civic Type R and the Ford Focus RS offer a seriously tempting combination of performance and practicality. But what if you want something larger with even more power? In the past, that might have been a problem, but these days, you’re in luck. Here are 15 high-performance SUVs that will even outgun the 460-hp Ford Mustang GT. 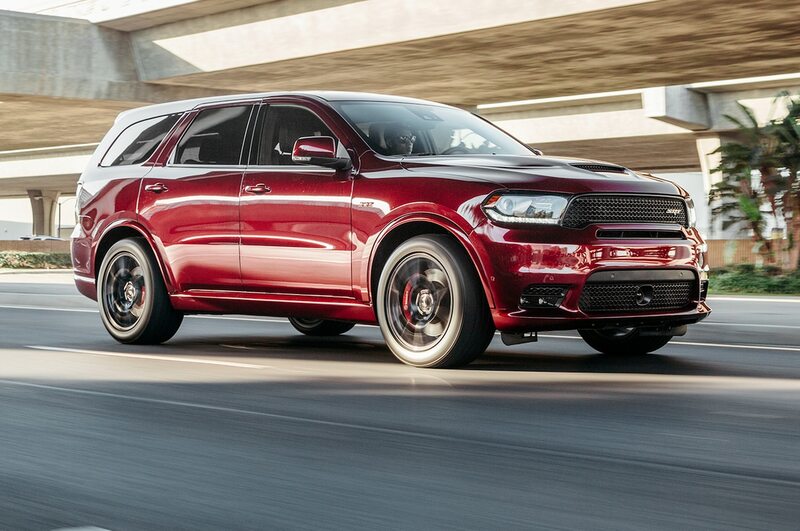 After years of rumors, Dodge finally gave the Durango the SRT treatment. That means you can now get a three-row American SUV with a 475-hp V-8. It’ll also hit 60 mph nearly 2.0 seconds quicker than the 360-hp Durango R/T. 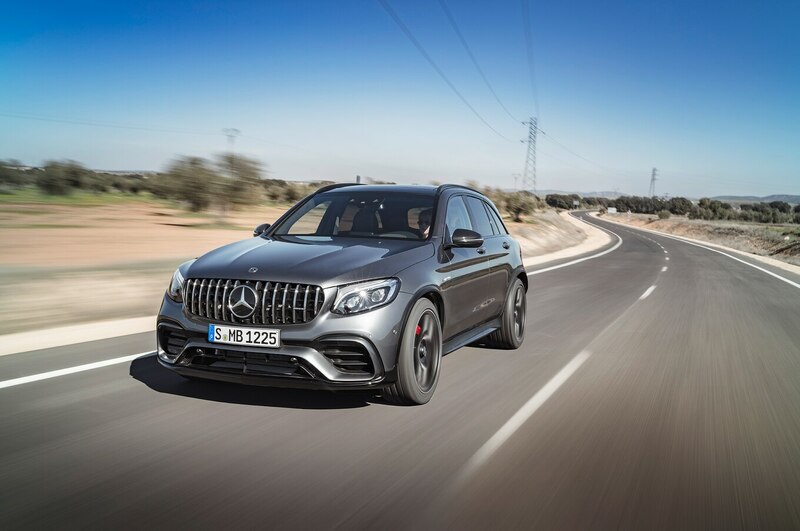 If you’re willing to settle for a mere 469 hp, Mercedes will happily sell you the GLC 63 as a regular crossover. To see the GLC 63’s full potential, however, you need the S version, which is only available in coupe form. 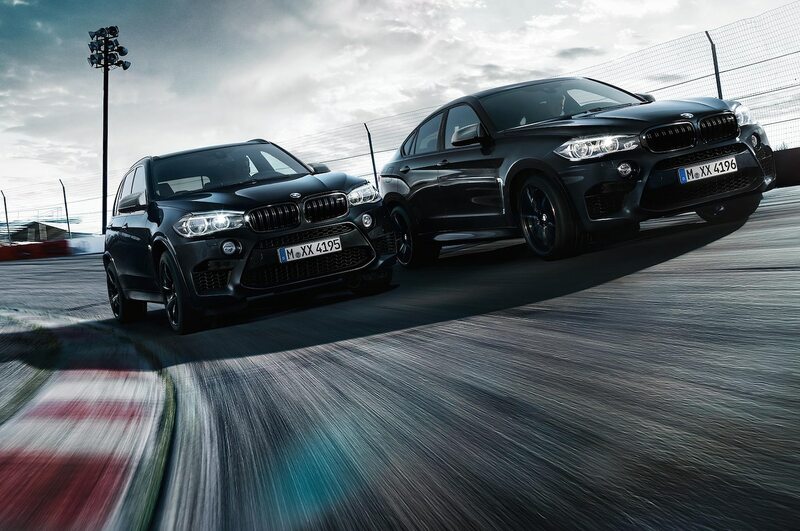 Pick that one, and you get a full 503 hp. Many enthusiasts were disappointed to hear that Alfa Romeo had decided to cancel the upcoming Giulia hatchback. 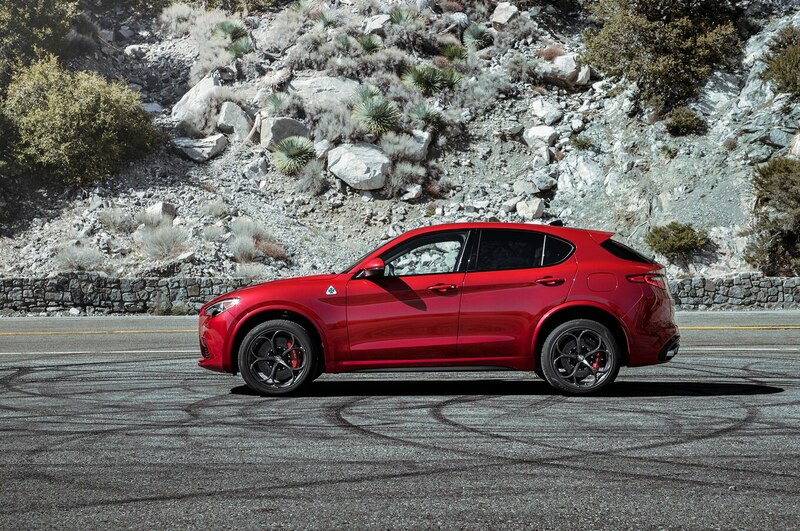 After a spin in the Stelvio Quadrifoglio, however, they might no longer care. Its twin-turbo V-6 makes 505 hp, enough to launch the Italian crossover to 60 mph in only 3.3 seconds. 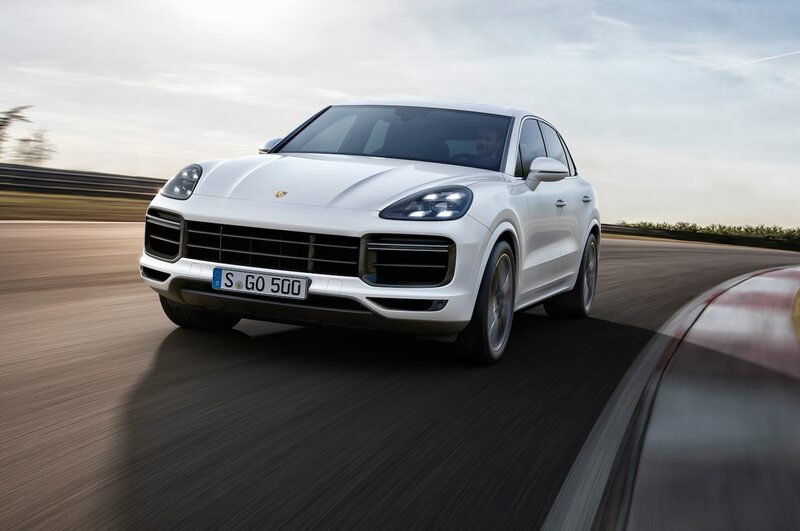 Because Porsche recently redesigned the Cayenne, there’s no Turbo S version available yet. The Cayenne Turbo, however, is already on sale. Its twin-turbo V-8 makes 541 hp, and Porsche says it will hit 60 mph in 3.9 seconds. 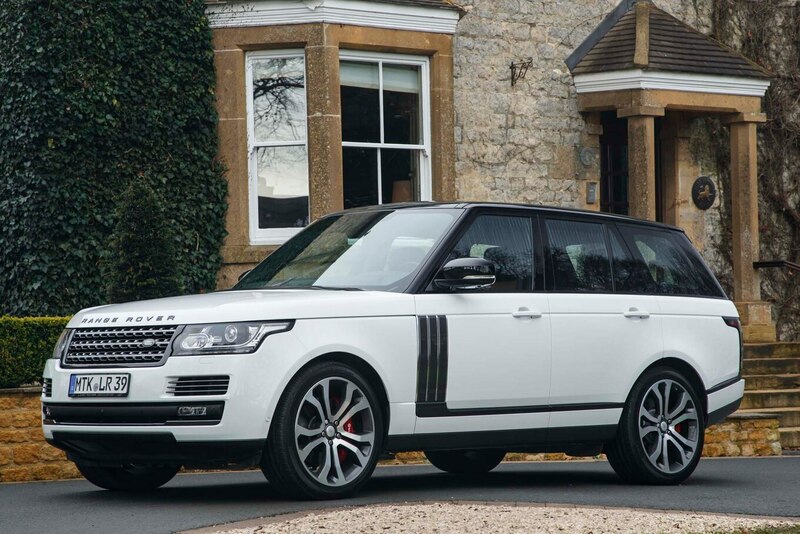 Like the smaller Range Rover Sport, there are a couple versions of the Range Rover that make more than 460 hp. The SVAutobiography’s 557-hp supercharged V-8, however, is as powerful as it gets. That’s not as much as the SVR makes, but it’s still enough to get the full-size luxury SUV to 60 mph in a claimed 5.2 seconds. BMW didn’t necessarily need to build M versions of the X5 and X6, but it’s hard to argue with the results. Both SUVs handle far better than anything that heavy has any right to, and with a 567-hp V-8 sending power to all four wheels, they’re also seriously quick. Sixty mph arrives in 3.7 seconds regardless of which version you choose. Read about the new 2019 BMW X5 here. There are actually a few versions of the Range Rover Sport that make more than 460 hp, but the king of them all is the SVR. 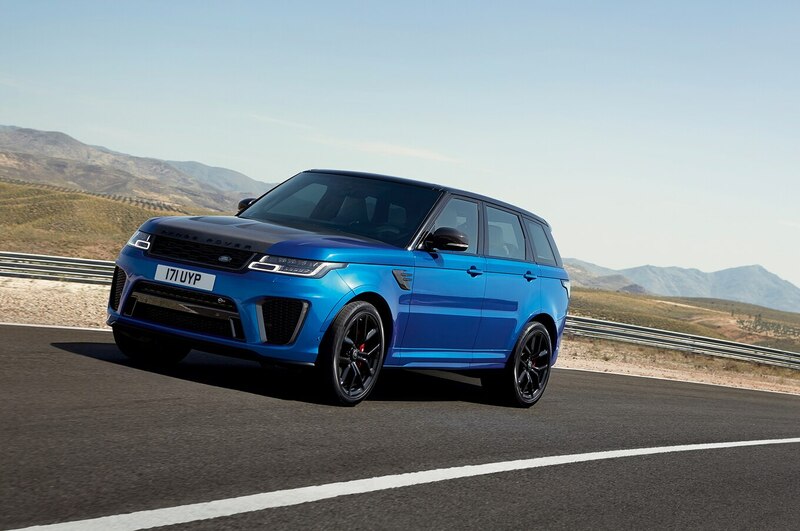 Tuned by Jaguar Land Rover’s Special Vehicle Operations division, the SVR’s supercharged V-8 makes 575 hp. That’s enough power to launch it to 60 mph in a claimed 4.3 seconds. 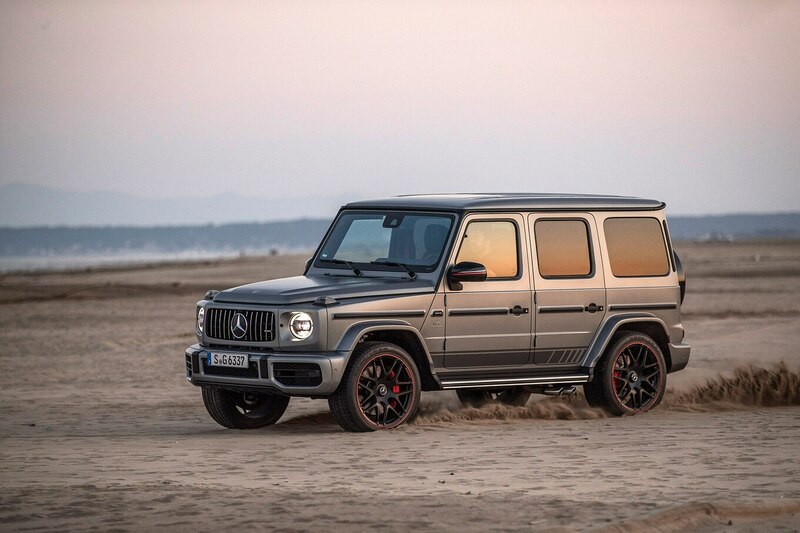 The bad news is that when Mercedes redesigned the G-Wagen, it killed off the G 65. That means there’s no more 630-hp V-12 option. The good news is that you can still get it with a twin-turbo AMG V-8 that makes 577 hp. Sure, it’s less power, but it’s also more than anyone in a G-Wagen will ever need. 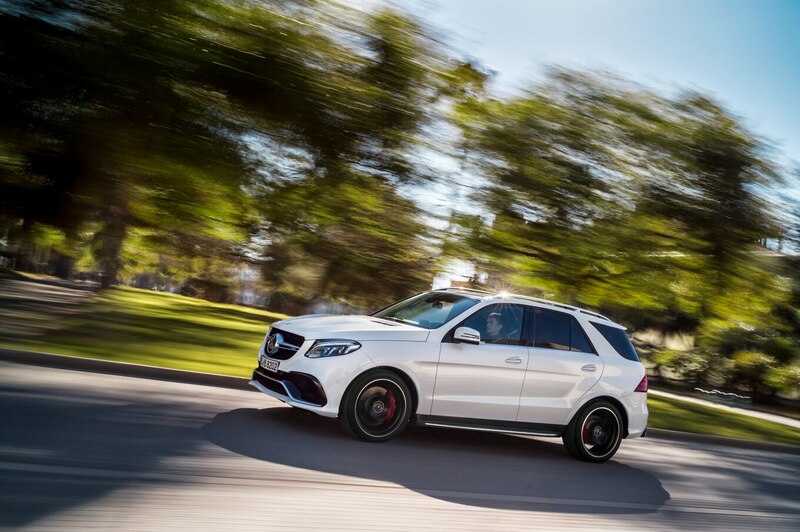 With 550 hp, the GLE 63 is definitely more powerful than the Mustang GT. But if the folks at AMG had stopped there, it would have come up short compared to the X5 M and X6 M. The GLE 63 S, therefore, makes 577 hp. Unlike other AMGs on this list, there’s no S version of the GLS 63. Mercedes must have decided there was no need because the regular GLS 63 already makes 577 hp. 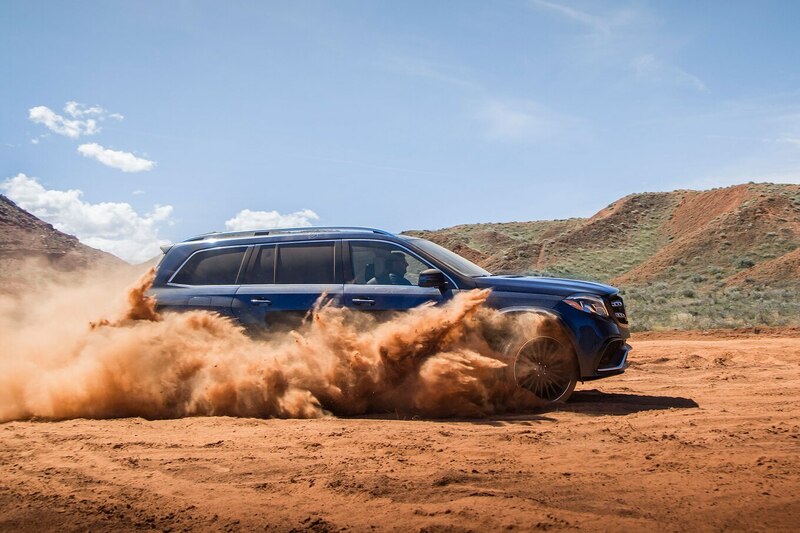 Last time we tested one, the SUV hit 60 mph in 4.3 seconds. 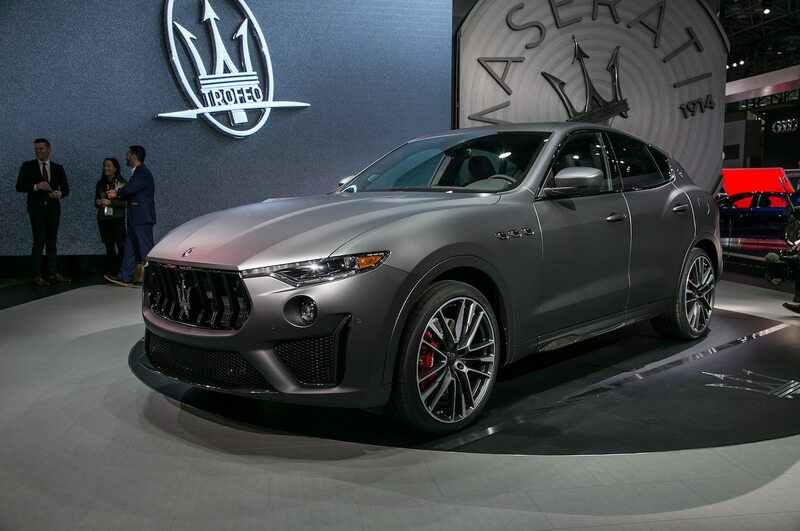 Maserati’s first crossover was already stylish and fun to drive, and with 424 hp, it was plenty powerful. The Trofeo version goes even further, swapping out the twin-turbo V-6 for a twin-turbo V-8. The result: 590 hp. 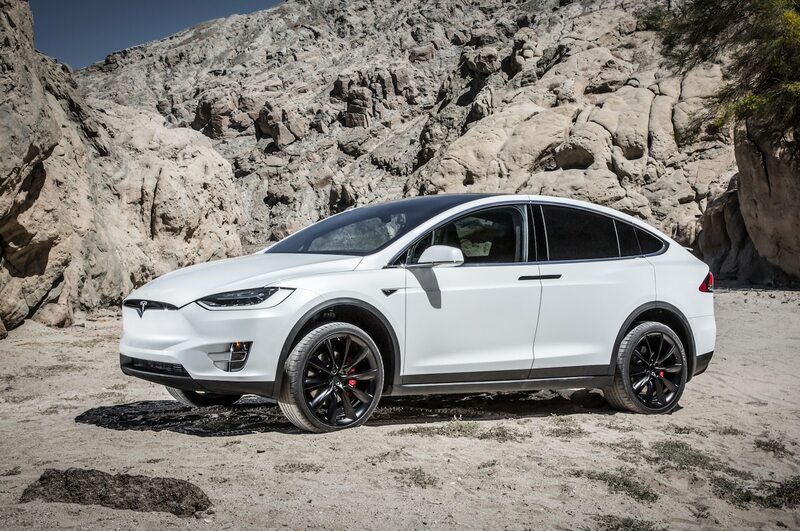 If you’re going to charge more than $150,000 for an SUV, it better make some serious power. 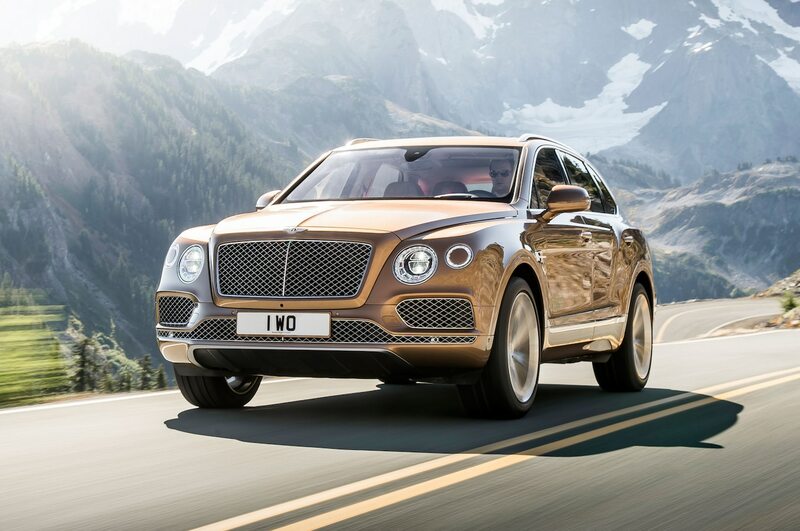 Luckily, the Bentley Bentayga more than delivers. The V-8 version makes 542 hp, and the W12 makes a whopping 600 hp. That’s enough to launch it to 60 mph in only 3.5 seconds. 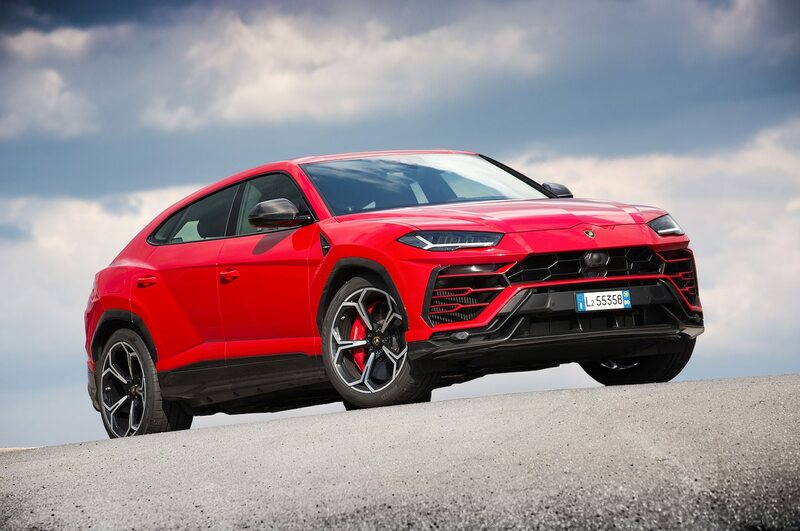 After a 25-year hiatus, Lamborghini finally got back into the SUV game this year with the Urus. It doesn’t have a V-12 like the LM002 did, but its 4.0-liter twin-turbo V-8 is still plenty powerful. It’s good for 641 hp, enough to launch the Urus to 60 mph in a claimed 3.5 seconds. We still haven’t tested a Model X P100D, but the last P90D we tested made 532 hp and hit 60 mph in 3.2 seconds. We can only assume the upgraded P100D will be even quicker. Why? That version makes 680 hp. 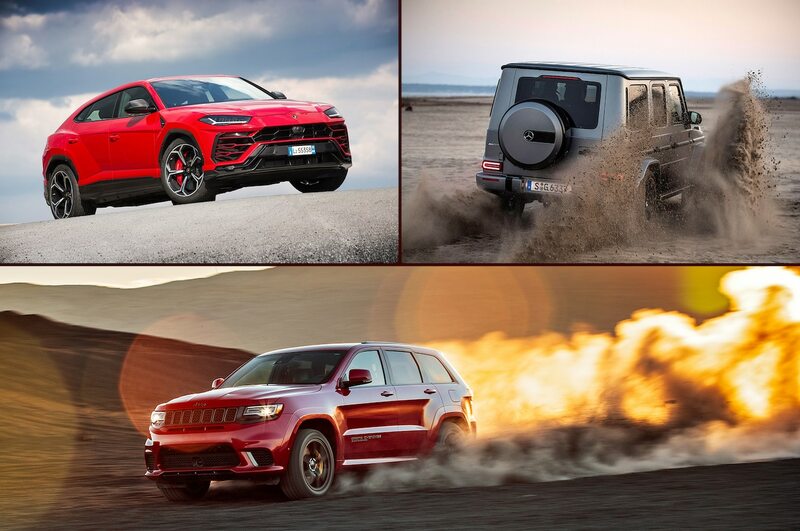 Every SUV on this list makes a huge amount of power, but no SUV on the market today is more powerful than the Grand Cherokee Trackhawk. 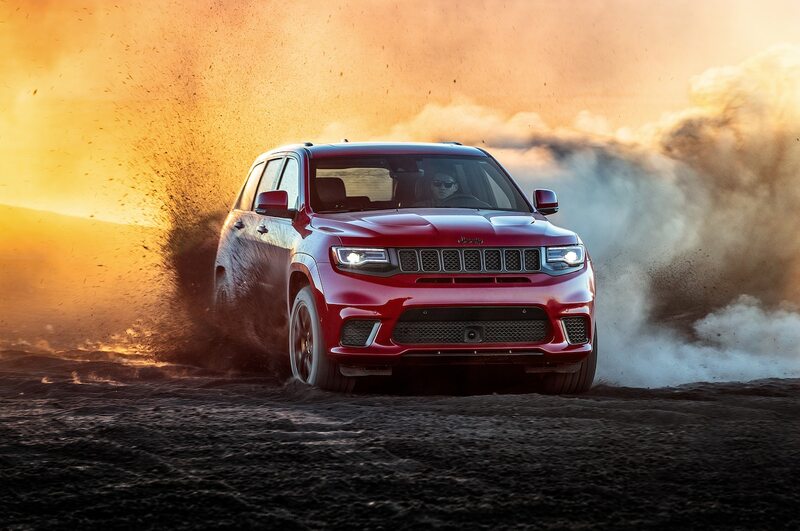 With a 6.2-liter supercharged V-8 borrowed from the Hellcat twins, the Trackhawk makes 707 hp. Plus, thanks to its all-wheel-drive system, it’s a full half second quicker to 60 mph than the last Hellcat we tested.